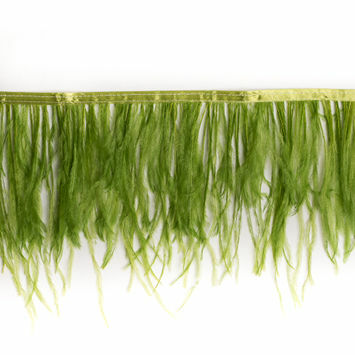 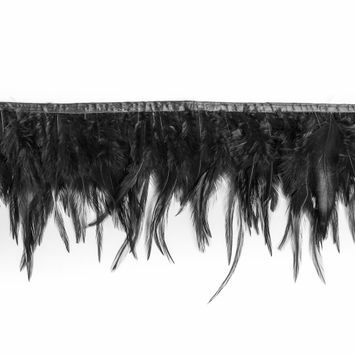 Fly free with Mood's Feather Fringe Trim! 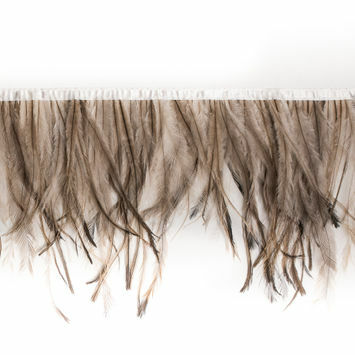 The inviting look of feather fringe holds true, as it is soft to the touch. 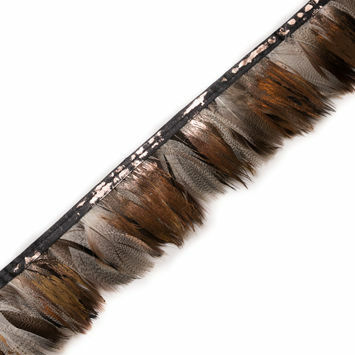 From peacock feather fringe to emu and ostrich, there is no shortage of plumage. 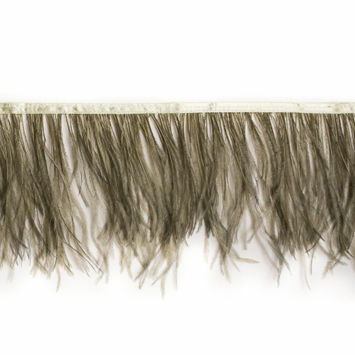 Perfect for warm sweaters worn at evening beach parties, feather fringe trim adds an earthy touch to fashion fabrics. 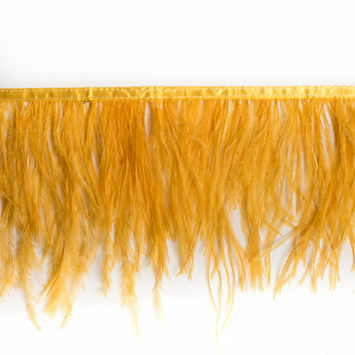 Or get that hot hippie home look with feather fringe sewn onto lamp shades. 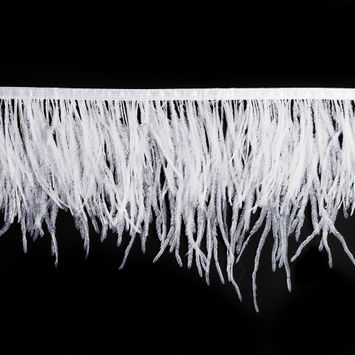 Feather fringe trim by the yard can be turned into home decor all on its own! 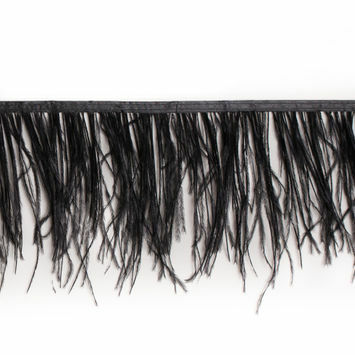 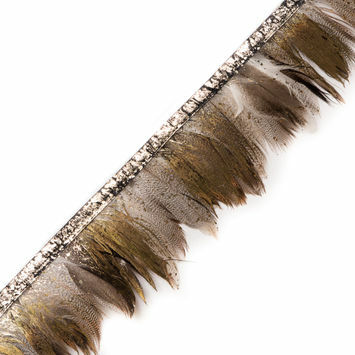 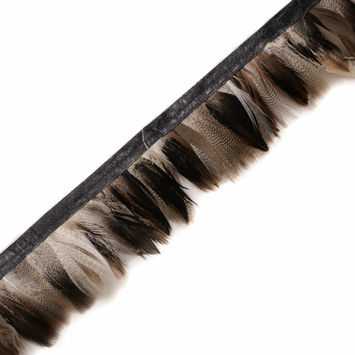 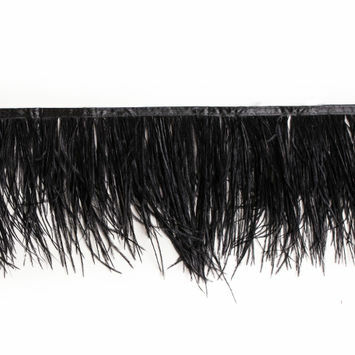 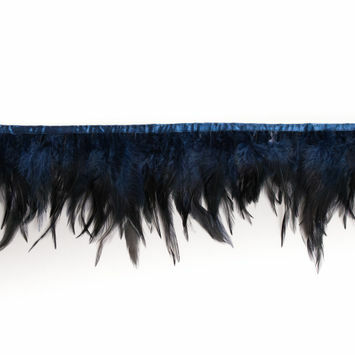 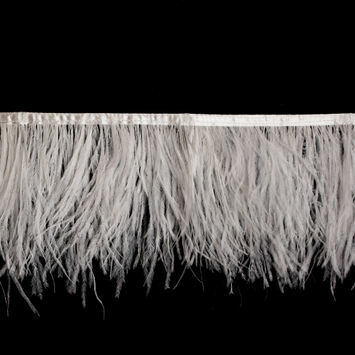 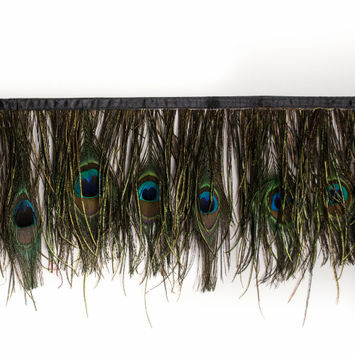 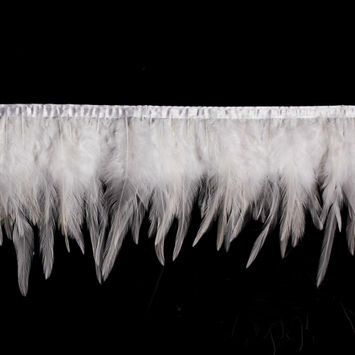 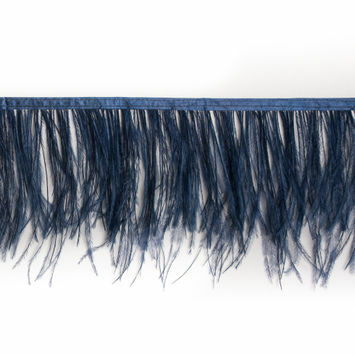 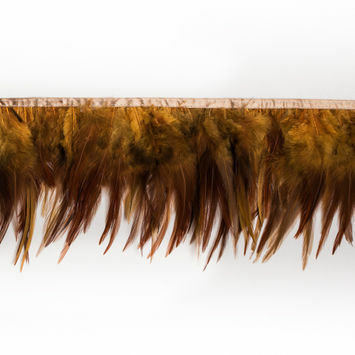 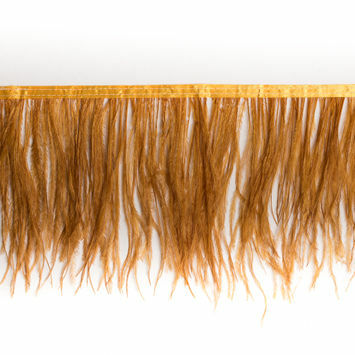 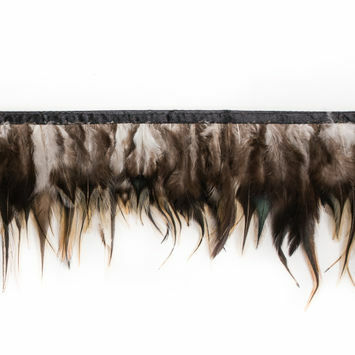 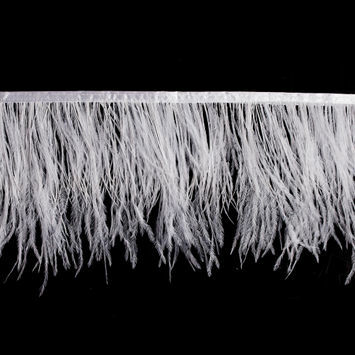 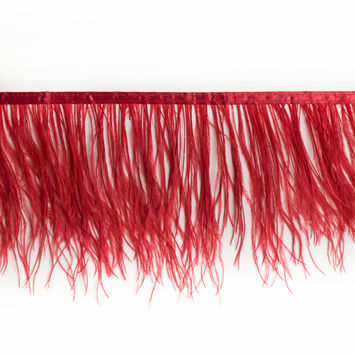 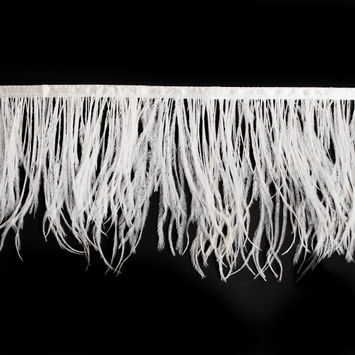 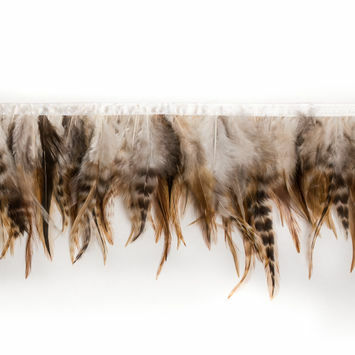 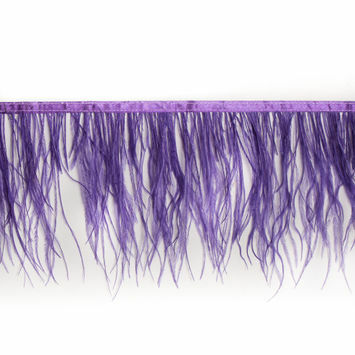 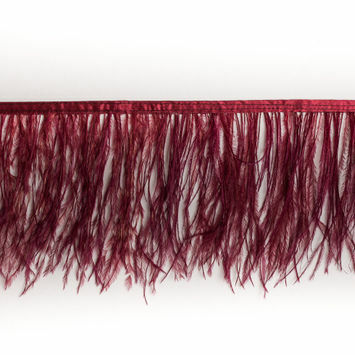 Birds of a feather flock together here at Mood, so take a look at our feather fringe trim. 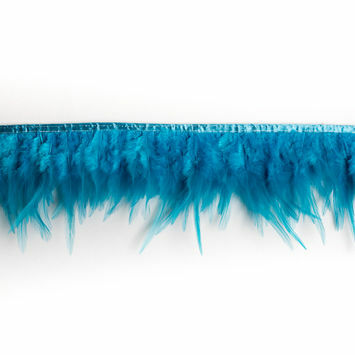 Natural Peacock Feather Fringe - 6"
Emu Ombre Feather Fringe Trim - 6"